She spent three weeks this autumn in Ladakh and Nepal visiting old contacts and the schools we have been supporting, meeting as many sponsored children as possible, ferreting out new schools that would benefit from our programme, and making new contacts. These inspection visits are never easy, and Barbara had to contend with strikes in Nepal, and long arduous jeep journeys along rough roads to remote schools. I am pleased to say that she survived and has come up with some new ideas which will help us develop HELP’s programme. She has written a brief report of her adventures in our blog. 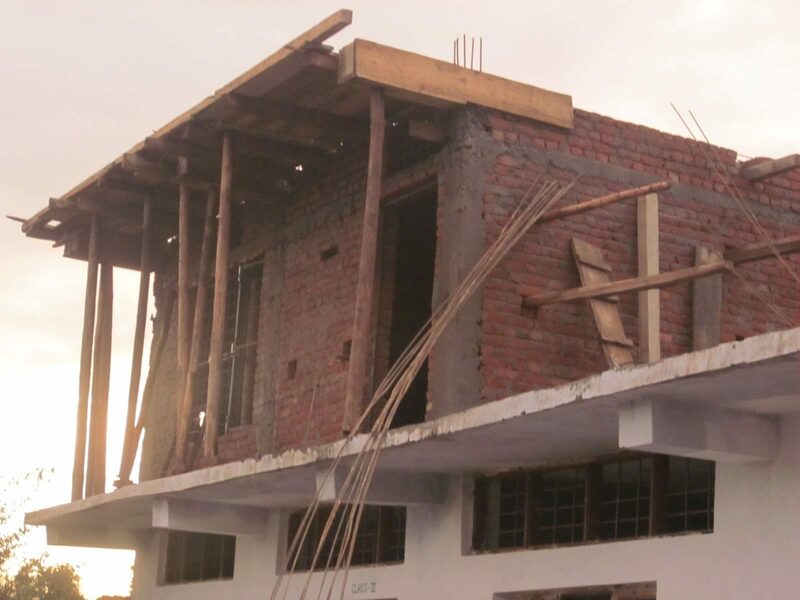 Shortages of building materials, especially wood, have added to the costs of constructing the new building for this remote Sikkimese school, and delayed its completion. The main structure has been completed but it was lacking windows and doors. With the help of a £1,000 grant from the Community of the Presentation, a local charity based in Canterbury, we have been able to send an extra £1,500 so the work can be completed. The total amount raised for this project now stands at £18,172. We also sent them £373 for a new computer to replace an old one that had been donated several years ago by our very first volunteer, Simon Forwood. We sent this school £845 for an outside toilet, and for internal partitions to divide the new first storey space of the new school building into reasonably sound-proof classrooms. The main building was built with funds provided by HELP over several years. 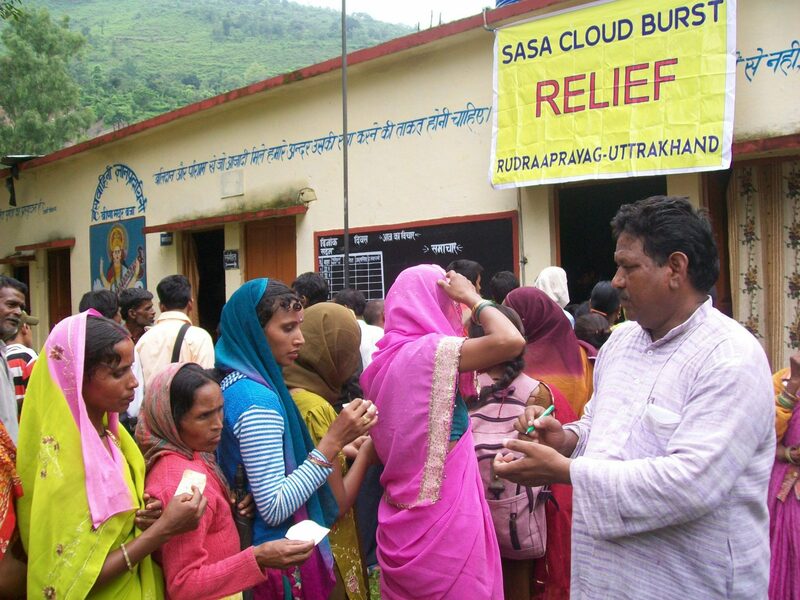 Located in the north-west of India, this school is very remote, founded by the Serve and Share Association (SASA), a local NGO based in Dehra Dun. This year we sent the school £2400 for a large water tank and a new classroom to accommodate a new level 8 class. This will enable the school to teach their present cohort to the end of their Junior High School studies. On the recommendation of one of our volunteers we contributed £180 for books for the school library. 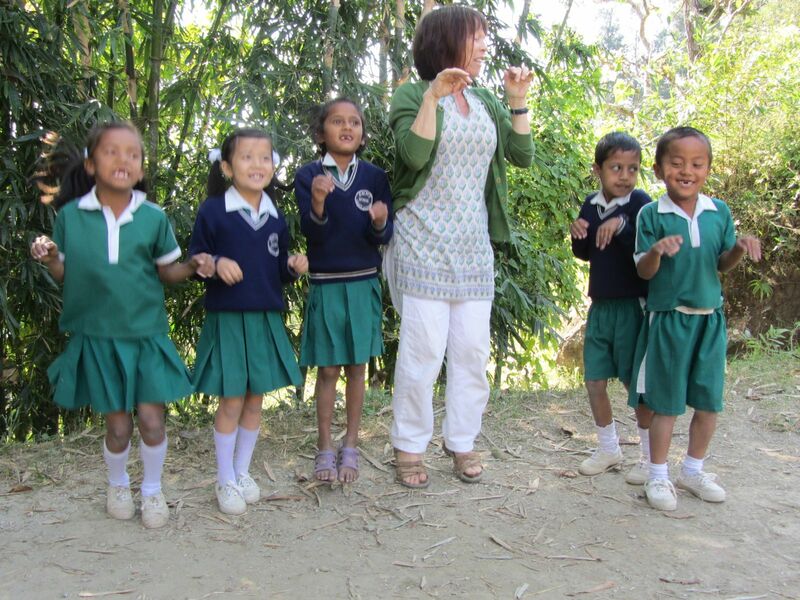 We sent £747 to this Kalimpong-based NGO to furnish the orphans in their care with educational supplies. 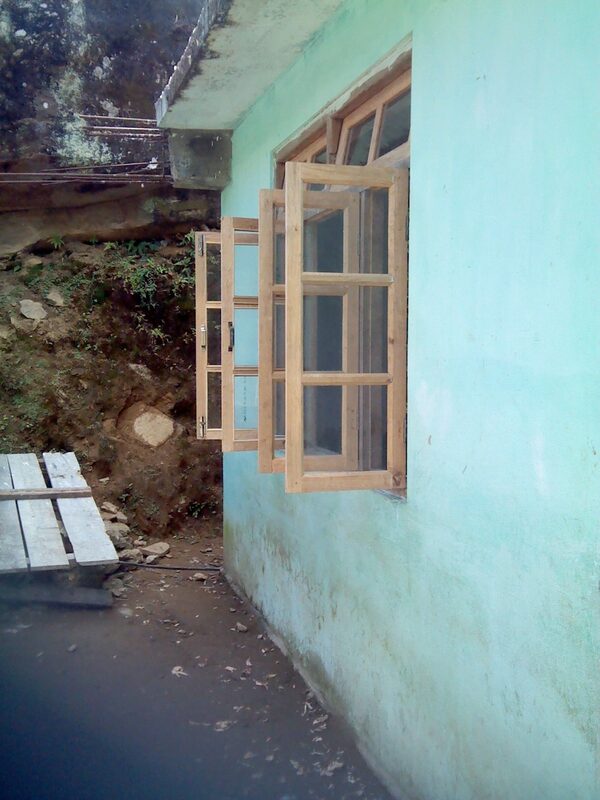 Floods are an annual hazard in Uttarkhand (north-west India), destroying homes and damaging schools. We have, for the third year running, sent money (£500) to SASA to buy emergency tarpaulins and education supplies for make-shift ‘schools’ so that the children could continue with their schooling while their communities struggle to put their lives together. You can see Simon’s report in our blog. In addition to the ten new volunteers, one of our past volunteers, Annie Taylor, from Australia, returned to her school for another stint under her own steam. Annie has been a great asset, meeting our sponsees in and around Kalimpong and taking their photos for the sponsors. And she sent us a report on a new school for us in a remote village that could benefit from our programme. Annie plans to go back yet again in 2014! To find out why, see her piece with photos in our blog. In addition to the work they go out to do in their school or clinic, our volunteers are our eyes and ears, keeping an eye on how your donations are spent, meeting sponsored children, and looking out for new projects to support. Alastair Skeffington (British) and Wiebke Apel (German), who taught in Pokhara (wasainnepal.blogspot.co.uk). Alastair volunteered a few years ago at a primary school in the Kathmandu valley, and this year returned to Nepal (Pokhara) with his partner Wiebke for another volunteering stint. For 2014, we already have 5 volunteers signed up, compared to the same time last year when we had none. With more in the pipeline, this suggests that 2014 could be a bumper year for volunteers. Our sponsorship programme has been running for 10 years now and so obviously some of the original sponsored children have now grown up, and moved on. Occasionally sponsors have had to withdraw from their commitment, but so far we have always been able to replace them. At present, 30 sponsors are sponsoring 43 students, and one student is still benefiting from money left to HELP by Tony Abrahams whose death we reported on a couple of years ago. As the children grow older the costs of education increase and we have asked sponsors whether they are willing to bump up their sponsorship amounts, with most able to respond positively. For example Renuka Thapa has been sponsored by one of our ex-volunteers since 2009. She has completed her schooling and now wants to study Chemistry at a college in Darjeeling, and two of our sponsors, Huyen Sutton and Lynne Iser, have accepted the baton, sharing between them the £360 annual cost. My special thanks to our unsung heroes: Norong Namchyo, Senir Nair, Sampada Dhakal, and Jayanti Lama for taking care of our sponsorship programme on the ground. The children are scattered all over the place, and so it is no easy task to track them down, get them to write letters (an impossible task in a few cases), and disburse the sponsorship money. The donation that stood out this year was one made by Fukahori Mansori. He sent £285 to HELP by mistake! But he allowed us to keep it which was incredibly generous of him. Many thanks Mr Mansori! Thanks to ex-volunteer Charlotte Cotton, a Christmas Fair held last year by St. Anne’s School in Madrid, where she normally works, raised £420 for HELP. The indefatigable Anne Tallentire, and notable friend of HELP, with a little help from Jo Mahon, her partner, sent us £220 this year. Thanks to Ann McGivern, and the children and parents of Highfields School, we have received over £2,800 since 2007, including £250 this year. This money is earmarked for the Gyan Jyoti school, where Mairi, her daughter, taught as a HELP volunteer. The school uses the money for sponsorships and general school improvements. Terry and Denys Hainsworth, old friends of ours, generously donated £100 this year in addition to their sponsorship of a child. We have not done much sponsored fund-raising to date, so we were delighted when Greg Mickelborough offered to raise funds for HELP while running a 100 Mile Stage Race in the district of Darjeeling. He successfully completed the race, coming in third in a field of around 60 runners, and has raised £1,079 to date. As you can imagine, this is a very significant amount for a small charity like HELP. If any of you or your friends and relations are thinking of participating in a charity fund-raising event, please think of HELP. We are registered with BT’s fund-raising service called MyDonate, which is very easy for your friends to use. To date we have sold 33 ebooks and 10 paperbacks of my novel Master of the Moon, which is pleasing. But it means that a lot of you have yet to read it! “What an amazing book!” was what one reader had to say. To find out what you’re missing click on the relevant link: UK Amazon, US Amazon. All profits from sales go towards HELP projects! Readers of past newsletters will be aware that if they use Everyclick as their search engine, HELP receives a small payment, at no cost to them. It all adds up. So far 18 of you have used Everyclick, we have raised £121.93 (compared to £74.25 up to last year) through our clicks which is quite encouraging. We could do a lot better if I could persuade a lot more of you to make Everyclick your default search engine! 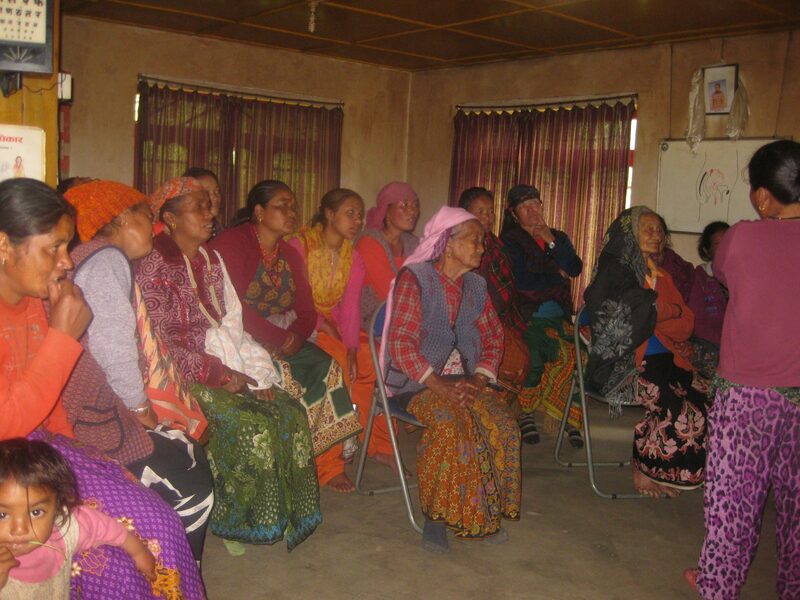 Here’s where to start: www.everyclick.com/himalayaneducationlifelineprogramme. I find it works well as search engine, and my contribution to the above total is £14.08!